Hey hope fully these pictures load but i recently replaced my drivers side rear strut link bar. I purchased the piece, which they had in stock, from a local car parts store. Its not the exact stock one but it is bulkier and better build so it will last longer... here is the basic run down. Rear strut bar end link driver’s side. 1. Jack up and remove rear tire. 2. 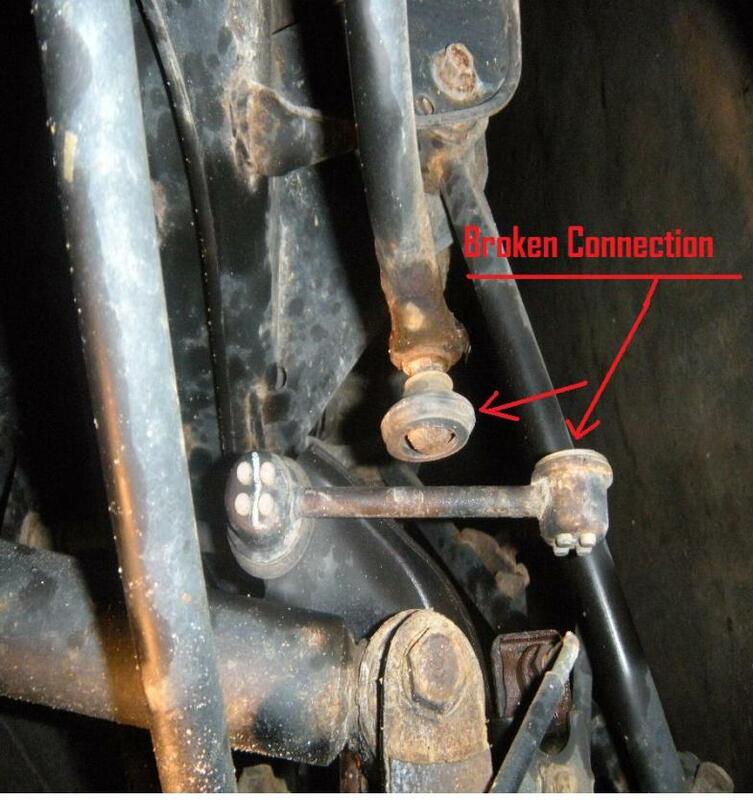 Remove end link from ball joint bolts. 3. 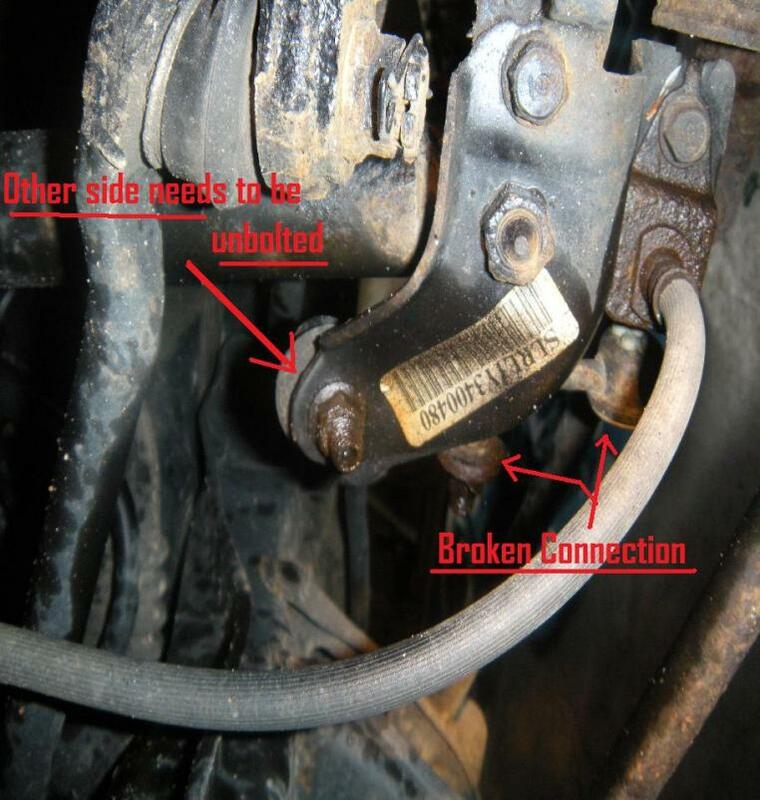 Remove nuts and ball joint bolt. 4. Secure a jack stand and move jack to under the rear brake or suspension and jack up to align new end link. 7. Put the tire back on and remove jack stand and lower jack. Tools required. Typical home tools. Wrench with proper headings. 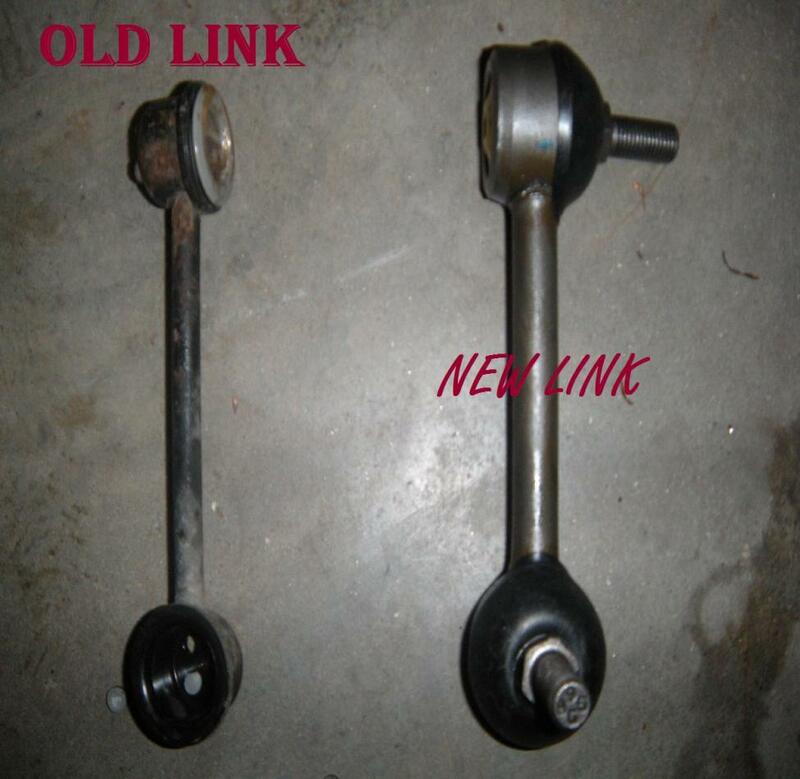 New end link was metric. Old one was regular setting. Maybe pliers to hold one side while you screw on the old one or to help remove plasting and rubber housing. Get some JACK STANDS. It's not safe to use just a hydraulic jack to work underneath the car. 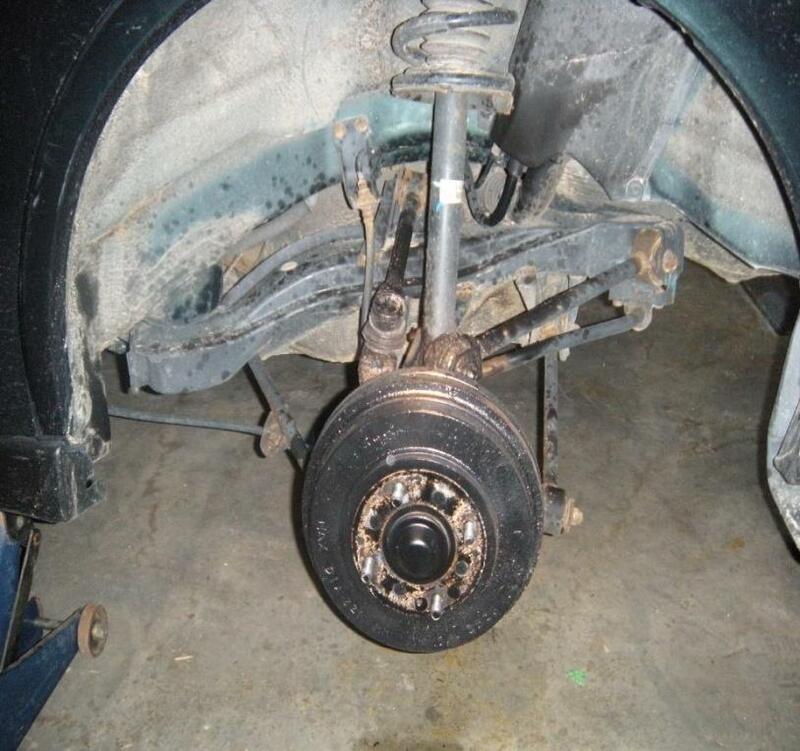 Maybe it's just the picture, because you do talk about the jackstand in your text. I'd hate to see a car fall on someone. If you lift BOTH sides off the ground, then the swaybar will be much closer to position. Some people may find this easier than putting a jack under the knuckle. In fact, I find this the easiest way to put the car on stands. 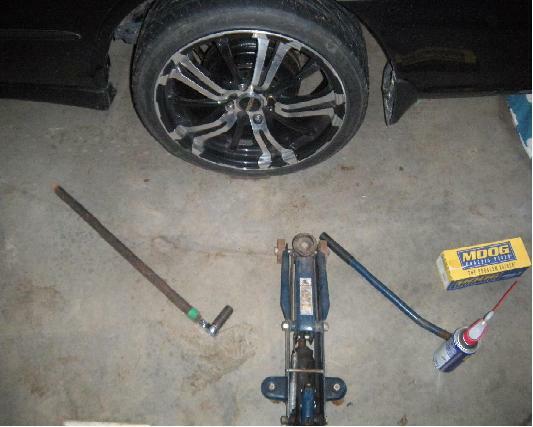 Use the jack in the center-rear, then put the stands under the car on both sides. I was gonna rotate your 3rd & 4th picture to make them upright. But then the text labels would be sideways. Wanna fix those & put em back in? I'm surprised that the old fasteners were inch-size...? Finally, put in the year/model of your car. Your signature will change next time you buy a different car. This should apply to 1998-2002. I'm pretty sure the 2-door & 4-door suspensions are almost the same. My 2003 even looks pretty much the same. 93 Accord no fuel pressure...replaced pump, filter, at my wits end..